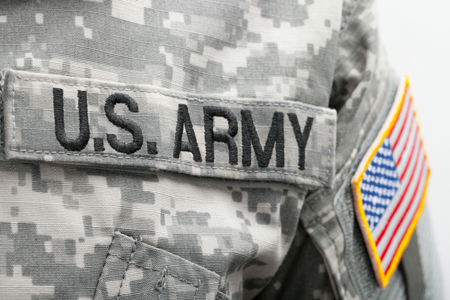 A Seattle federal district court ruled Thursday that the federal government illegally discriminated against naturalized U.S. citizens in the U.S. Army by requiring security checks on them every two years, without individualized suspicion. The ruling in Tiwari v. Mattis comes as courts consider several similar cases centered around the rights of soldiers who joined the military through the program called Military Accessions Vital to the National Interest. MAVNI, which was discontinued in the fall of 2016, permitted immigrants to enlist if they were in the United States legally without green cards and had certain highly desired medical or language skills. The soldiers in Tiwari all became naturalized citizens after enlisting. As the ABA Journal reported in its January/February issue, MAVNI was conceived and created by ABA member Margaret Stock, who has been helping MAVNI participants find legal help after the Defense Department started casting suspicion on their loyalty. The Tiwari plaintiffs are represented by Stock’s husband, Neil O’Donnell. A September 2016 memo from the Defense Department kicked off the dispute, requiring that anyone who joined through the MAVNI program must “continuously monitored” while affiliated with the department, including in post-military civilian jobs for defense contractors. In practice, this meant the military must do a National Intelligence Agency Check on the plaintiffs every two years (a stricter check than those done for other enlistees, or for U.S. citizens seeking top secret clearance), and must withhold a security clearance from them if that check isn’t current. Before Judge Thomas Zilly of the Western District of Washington, the government argued that the program is not national origin discrimination, because it stems from soldiers’ MAVNI status, not their national origin. Zilly was not convinced, noting that anyone who joins through MAVNI is by definition someone born outside the Untied States. Furthermore, there’s evidence of other disparate treatment for noncitizens; an October 2017 policy requires that background checks be completed for green card holders, but not citizens, before they may start basic training. “Given the DoD’s explicit reference to nationality in a similar policy simultaneously announced, defendant’s contention that the DoD was concerned solely about the targeting of the MAVNI program lacks credibility,” the judge wrote. Zilly then moved on to consider whether the stricter background check policy is narrowly tailored to achieve a compelling government interest. He rejected arguments from a Defense official that “a number of” MAVNI soldiers had entered the United States on student visas for a fraudulent school created for a DHS immigration enforcement sting. “The court is unimpressed with any assertion that MAVNI recruits who were deceived by an agency of the United States into believing that they were enrolled in, or engaged in either curricular or optional practical training through, a legitimate school constituted a threat to national security,” he wrote. The judge also rejected several examples offered by the federal government of foreign-born prospective enlistees who could have posed a security threat. Those people were detected with much less stringent checks, he noted, and one had actually turned down naturalized citizenship. Classified information the government cited was not offered as evidence, the judge said, and in any case doesn’t overcome the requirement that the restrictions on naturalized soldiers be precisely tailored or necessary. The plaintiffs do not challenge the government’s right to investigate specific soldiers about whom it has individualized suspicion, Zilly noted. Indeed, the judge permanently enjoined the suspicionless biennial intelligence checks.